Quick! Someone grab the bongos and the peace beads – OMT! done gone hippie! So WHY? you may be asking. Why would anyone add anything to their diet that actually touts the words “reduced bitterness”? Since my diagnosis of breast cancer (3.75 years ago! ), I have combed through my diet to see where I might be lacking, or where I might strengthen my already good nutritional habits. I hate taking pills of any sort, so I knew my nutrition had to be shored by food, glorious food. I research the good and the bad and try to stick with solid science, i.e. actual studies, before I consider adding something to my diet that might be normally objectionable (like spinach in smoothies!). Enter brewer’s yeast (and ground flax seeds and smoothies with veggies). The year I was diagnosed, I was told by every single medical professional I came in contact with that I was the exception to the rule. Statistically, I had a .01 chance of being diagnosed (nope. not a typo), yet, there I was, a cancer patient. I had exercised my entire life. I ate healthily. I didn’t have any dangerous habits that would put my health at risk. No family history. I was golden…or so I thought. BECAUSE: no matter how well you protect yourself against disease, no matter how hard you try and live a life that fosters health, sometimes you lose the coin toss. BUT: that doesn’t mean to stop trying. Get ready to be grossed out TO THE MAX! Garry and I both imbibe in daily shots of water mixed with 2 tsps of brewer’s yeast. As in, we mix a teaspoon of brewer’s yeast powder with water and take it as a shot. Garry takes it twice a day: one in the morning and one after supper (the last meal of the day for those of you who don’t speak South). I have mine mid-morning, with my flax. DON’T SMELL IT! DON’T LOOK AT IT! JUST DO IT! Yep, as gross as it sounds. Chase it with anything and BOOM! you’re done. And the taste, the faintly beery taste, is gone pretty quick once you find the perfect chaser. Due to the chromium content of brewer’s yeast, there is interest in using it for lowering blood glucose in people with diabetes. Chromium may help the body use insulin more effectively. This can lower blood sugar levels. This is really interesting/good news for those who struggle with their blood sugar. WebMd advises that brewer’s yeast is taken by mouth for respiratory problems, including the common cold and other upper respiratory tract infections, influenza, seasonal allergies, and swine flu. 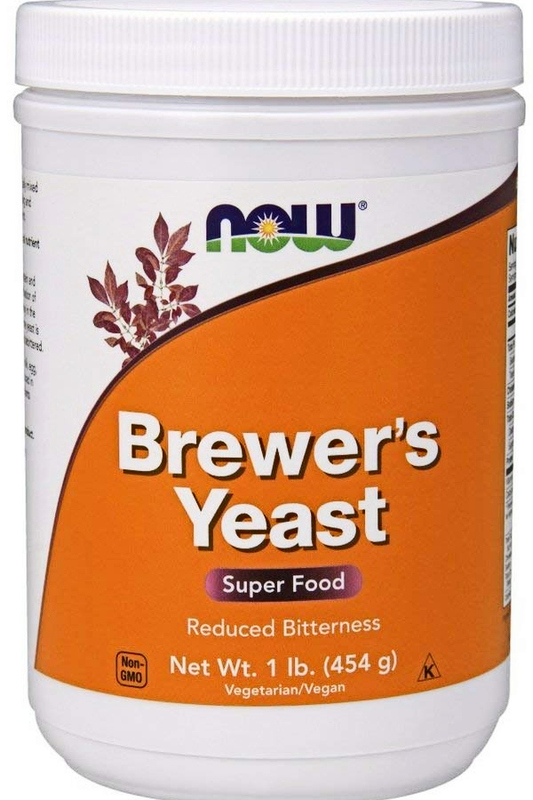 Brewer’s yeast is also taken by mouth for diarrhea, swelling of the colon (colitis) due to the bacteria Clostridium difficile, high cholesterol, loss of appetite, acne, premenstrual syndrome (PMS), recurring boils on the skin (furunculosis), type 2 diabetes and irritable bowel syndrome (IBS). It has also been used as a source of B vitamins, chromium, and protein. That’s impressive, but how in the heck does it work? For diabetics, it’s believed the chromium content of brewer’s yeast is responsible for lowering blood glucose. It can also increase enzymes in the intestines to fight off lots of ick. It’s believed to help improve gut health (man, don’t we hear that everywhere these days! ), raise the health of your immune system (my MAIN reason to use it) and is even used as a treatment for diarrhea AND constipation. It reportedly helps lower cholesterol, fight seasonal allergies and PMS. It costs pennies a day! Now we’re talking my language (more money for cake). Click HERE for side effects and HERE for interactions. If you aren’t as foolhardy brave as Garry and I, you can always mix it in food and eat. Lots of folks swear by that method. Possibilities include sprinkling it on popcorn, stir it in yogurt, toss with a salad, or mixing in a smoothie. Personally, my take-a-shot-and-get-‘er-done seems way more palatable than having to endure it mixed with the food I love. But, as always, you do you, my babies. I’m a hippie. I eat ground flax seed, drink smoothies filled with greens and now drink shots of brewer’s yeast. What’s next? Burning Man? A retro VW? Giving up electricity? Doesn’t matter. If that’s what it took, I’d do it. Just so you know I haven’t completely lost my ever’livin’, as soon as I finished writing this post, I went outside, plucked a lime from my tree, and squeezed it into an ice cold beer. Now that’s the brewer’s yeast I can get behind! Share your hippie stories below!